Recent reports of the devastating effects the Ebola Viral Disease (EVD) is having in West Africa is concerning to the global community and public administrators. EVD is transmitted person-to-person through bodily fluids. The prognosis for individuals with EVD is not good. The World Health Organization reports that during an Ebola outbreak the fatality rate is as high as 90 percent. As of July 2014, Doctors Without Borders reports on their website, “1093 Ebola cases resulting in 660 deaths.” There is no cure for EVD. The best that health care workers can do for patients inflicted with this terrible illness is to provide supportive medical care. 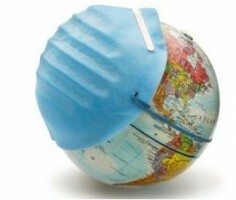 Globalization of humanitarian efforts to treat and understand this incurable disease has reached a controversial pinnacle. Many governments are wondering how far public administrators in the health care industry should advance their knowledge of this deadly disease. Should advancing knowledge include bringing patients infected with EVD to the United States? This question is in debate with the recent news pertaining to two American health care workers who contracted EVD while assisting patients in West Africa. The Centers for Disease Control and Prevention (CDC), in conjunction with Emory University Hospital in Atlanta, Georgia, announced on its website that it is providing treatment services to two American health care workers who have EVD. The controversy arises in that both of the health care workers were transported to the United States for treatment services. There are no known previous cases of EVD in the United States. This generates concern that bringing the virus into the United States may result in a potential outbreak. Consequently, people are voicing concern on social media outlets asking why risk it. It is an important question; indeed why would public administrators risk bringing EVD to their country? As public administrators, we do not risk it by not thinking clearly and planning for such an event. We are proactive and plan for the worst-case scenario. We have seen the devastating effects of other deadly illness such as H1N1 and AIDS. We initially did not understand the progression of these illnesses or the treatment protocol to administer, but we cautiously moved forward seeking answers. Citizens of the global community deserve our very best efforts to mitigate risks, but not to turn away from potential risks. As public administrators, especially those involved in health care, we acknowledge the risk for a potential EVD outbreak and we take proactive steps to reduce the risk. Thus, we do not ask why risk it, we ask why not risk it? Why not do everything we can to save lives? After all, global governments are closely connected to each other through economic ties and trade agreements, not to mention the societal ties that unite us together. The health of the global community is tied to its economic growth. Economic issues are beginning to appear in West Africa which relies on tourism to support its government services. The resulting EVD outbreak in West Africa is impeding tourism and so with it tourism dollars. Areas in which the EVD outbreak is prominent already have fragile economies, which may further decline without assistance from the global community. Accordingly, public administrators around the world should increase humanitarian efforts by facilitating EVD research in those countries that have the resources to examine this virus in-depth; thereby seeking treatment solutions that reduce the rates of EVD deaths or eliminates it altogether. This research will help stabilize strained global economies, but more importantly save lives. Considering global travel is easier than ever before, we are less than 24 hours away from any countries’ outbreak. Perhaps with this understanding of the unique closeness each country and its citizens has to each other, we as public administrators should encourage the scientific advancement of knowledge pertaining to EVD even though it may generate controversy or fear. Unfortunately, the only way to fight this terrible virus is through research, which brings us back to the two American health care workers who contracted EVD. Humanity will benefit from the knowledge gained from understanding the progression and treatment of their illness. The United States government, through the CDC, has the resources to provide meaningful health care treatment and facilitate research to advance our EVD knowledge. The information gained, through structured research, will benefit the global community, strengthen our commitment to each other and improve global economies. As of Aug. 4, 2014, the World Health Organization reported on its website that there are 1603 suspected EVD cases and 887 EVD deaths in West Africa. I suspect, upon posting of this article, those numbers will have increased. As public administrators, let us do everything in our power to facilitate EVD research in the United States, while addressing the concerns of the public. Author: Terry Quadros is an administrative analyst at the Superior Court of California, County of San Francisco and has worked in the judicial branch for nine years. Ms. Quadros earned a Masters in Public Administration and will be a doctoral student at the University of Phoenix starting December 2014. Ms. Quadros is interested in conducting research in the field of public administration pertaining to organizational leadership and operational efficiencies. She can be reached at [email protected].